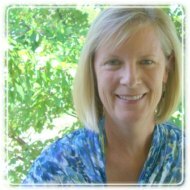 Auburn Therapist: Pam Shore - Therapist 95603. Send A Message To Pam. I earned my Masters of Science degree in Counseling from the University of Nevada, Las Vegas. I hold the following licenses. I practiced in Las Vegas as a Drug and Alcohol Counselor and Marriage and Family Therapist, NV for 11 years before moving to Auburn, California in 2010. Please visit my website for information on the primary research-based approaches that I use. Finding a good "fit" in a therapist is important. I am glad to answer any questions that you may have about my qualifications and/or the therapy process. Feel free to call, text or email me at 530-906-2319.